Fierce and fearless, resilient and extreme in every move she makes. A nighttime vigilante and a superhero sidhe-seer, but deeply loyal, compassionate and vulnerable in a steel-strong shell. That’s Dani O’Malley, the Mega we’ve all come to know and love. 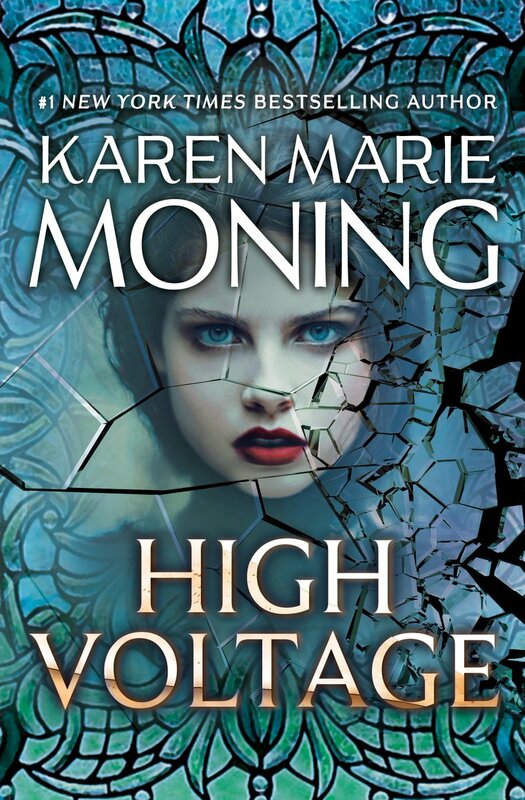 With HIGH VOLTAGE, Karen Marie Moning takes us deeper into her psyche, as she grieves, desires and tries to save the world once more. Right off the bat, I want to tell you that I thought the novel had an altogether different feel than some of the other Fever books (and that’s not a bad thing). The dark Dublin underworld was there but Dani really took center stage in this more character-driven narrative. We see her every day, privy to her thoughts and feelings as she grieves, as she saves the children who are suddenly left without parents, as she hunts the evil that lurks out of sight. The Song of the Making healed the world after the Hoar Frost King, but it also changed things, giving rise to a new threat. To make matters more complicated, not only is the world changing, but she’s changing too. Powers are emerging within, powers she’s had to use against those who are after her. With Ryodan at her side, with long-held truths spoken, Dani and those she loves must come together to prevent the human race from being enslaved. Trouble is, this time, Dani may be the only one that can save the day… and at a cost. Again, this 10th installment was very character driven, so we didn’t see huge battles or action scenes. However, as we’ve seen before, Moning (I feel) is setting up for a larger story and it may have been necessary to narrow the scope before we experience another plot-driven, action-heavy, call-to-arms chapter in the Fever saga. It felt like a love story in which we finally saw Dani as who she was meant to be, to love in the way she’s wanted to love and perhaps most importantly, be loved in the way she’s always longed for, by the man who is her equal. There’s beauty and nuance in her development, in allowing us to experience her just the way she is… scars and all.